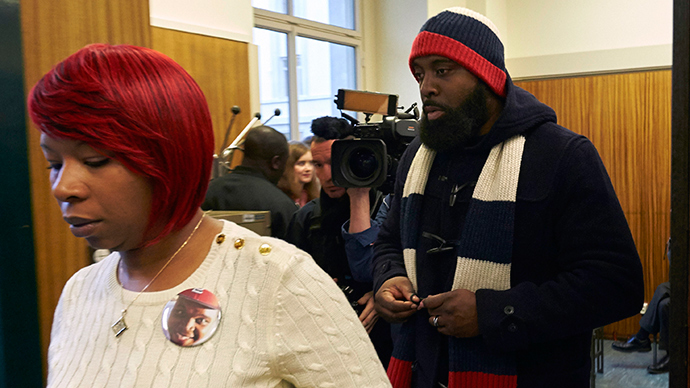 The parents of Michael Brown, the unarmed teenager who died after being shot by a police officer in Ferguson, Missouri last August, have filed a civil suit against the city and two former members of its police force. Attorneys for Brown’s family filed the seven-count, 44-page lawsuit in circuit court on Monday in St. Louis County. It names the city of Ferguson and Darren Wilson‒the since-resigned officer who fired at the teenager‒as defendants, along with Thomas Jackson, the now-former chief of the Ferguson Police Department. The suit claims that Wilson, at the time an officer with the FPD, violated Brown’s civil rights during the August 9, 2014 encounter, namely by depriving him of his constitutionally protected right against unlawful detention and against the use of excessive and deadly force. “Acting under color of law, defendant Wilson deprived [Brown] of his well –established civil rights protected both by the United States Constitution and the state of Missouri Constitution,” the complaint reads in part. Wilson resigned last year, and a grand jury ultimately elected not to indict him on any criminal charges. Nevertheless, the Brown family lawyers say the ex-officer "unjustifiably shot and killed" the teen and used "unnecessary and unreasonable" force during the tragic encounter. Brown, 18, was walking through the St. Louis suburb during the daytime when he got involved in an altercation with Wilson. An investigation later determined that Wilson fired approximately 12 shots from his department-issued handgun, including at least eight that struck the teen’s body and two to the head. Brown was unarmed at the time of the incident. At a Thursday morning press conference, Anthony Gray, an attorney for the Brown family, told reporters that the "we are here today to simply present our case,” according to KSDK News. Gray said previously that the family intended to file a suit to "demonstrate to reasonable-minded people" that Wilson didn’t have to use to use deadly force against Brown, and to give "a more clear, a more accurate picture of what took place that day." “I cannot still not understand how the killer of an unarmed teenager has not been cross-examined,” Benjamin Crump, another member of the Brown family legal team, added during Thursday’s presser. According to KSDK, Crump said he hopes the lawsuit filed this week will go before fair-minded jurors who can base their decision off the "objective, physical" evidence. The suit charges Wilson with violating Brown’s civil rights, and also blames Ferguson and the department’s former chief for their parts in allowing the incident and the subsequent investigation to unfold in the way it did. Jackson was Wilson’s supervisor, the complaint states, and ‒along with the city‒was responsible for his hiring, training and retention. Jackson resigned from the Ferguson PD in March after a nearly year-long federal probe uncovered a pattern of unlawful conduct exhibited by the force, brimming with constitutional violations and evidence of long-standing racial discrimination. “Ferguson’s police and municipal court practices have sown deep mistrust between parts of the community and the police department, undermining law enforcement legitimacy among African Americans in particular,” the DOJ concluded. The suit fails to name the damages being sought, but requests at least $75,000 for compensatory damages for the Brown family, who the complaint says "have suffered extreme and severe mental anguish and pain and have been injured both in mind and in body” since last August.